With new GDPR (General Data Protection Regulation) rules coming into force on 25th May, we need you to spare 20 seconds to update your information so that we're compliant and can continue sending you regular communications. Welcome to this week's newsletter. 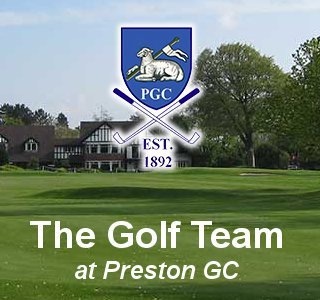 In this edition we ask whether your wife, partner or female friend has considered getting into golf, we have some fantastic shop offers here at Preston, and we review the season opening sides match. Saturday saw a full field of members take part in the opening sides match. The ever popular event was played over the full course as we moved back onto proper tees and play from the fairways. Andy Merry and his team presented us with a super course following a very difficult winter period. I had the pleasure of partnering Captain Steve and took on Vice Captain Greg and President John. 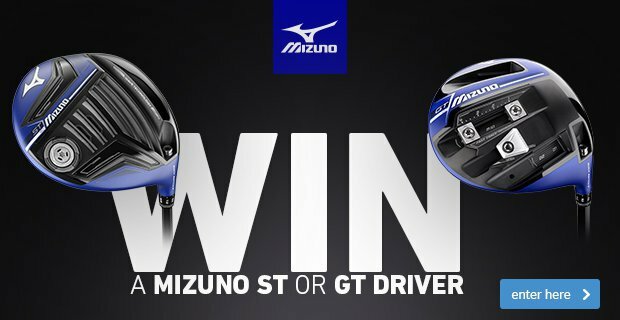 We had a very enjoyable game and it was great to see these guys hitting some lovely shots with their custom fitted Mizuno irons. Although Captain and I managed to claim the honours in the top match, Greg and his team produced some fantastic scores to claim the overall team victory. Well done guys and on behalf of the Pro team and I, we wish you every success in your time in office. As the evenings draw out, we are seeing golfers nipping up after work and enjoying the course so if you haven’t already started, it’s time to kick start your season! 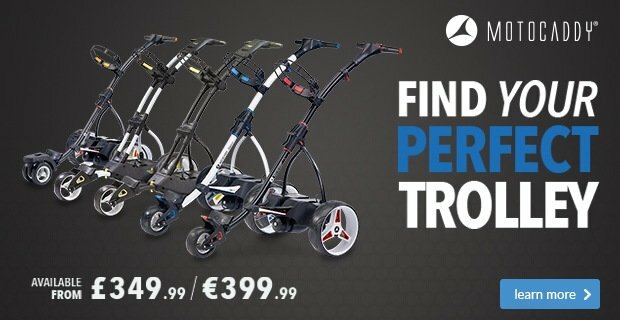 Don’t forget, my team and I are on hand to help you with your game and all your golfing needs. It would be great to see you down the range and for those who haven’t yet seen the new simulator suite, pop by and let us give you a demo. During the week I had a great hour with Jeremy Harries as he looked to dial in on his wedge distances and talk short game. Jeremy like hitting full shots so picking correct loft gaps on his wedges is essential. The introduction of a 50 degree gap wedge and a 56 sand wedge in the new CBX Cleveland cavity backs did the trick. Jeremy asked about golf balls and the type he should be using. This proved very interesting as I gave him a demonstration on the difference a ball can make to wedge play. One of Jeremy’s concerns was holding the ball on the greens. I hit 2 wedge shots from 89 yards with 3 different balls to demonstrate the various spin rates of different balls. 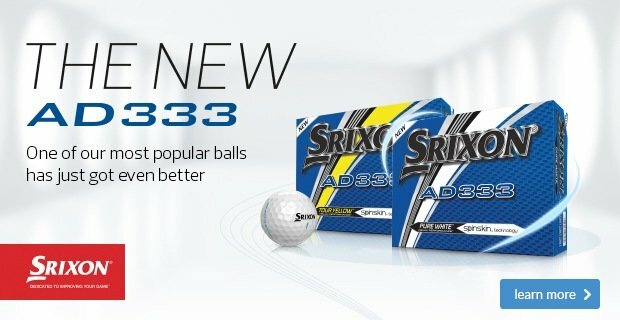 For those who play AD333 and find it doesn’t stop, try the Titleist DT TruSoft. 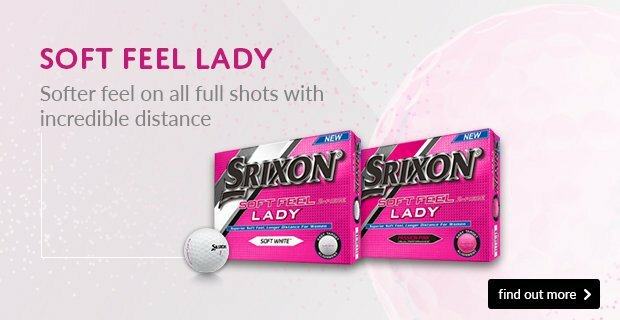 The cost of the ball is no more expensive than Srixon but in my opinion and the data we saw, will help you around the greens. 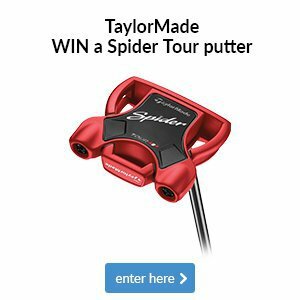 If you are interested to see if you are using the correct ball then come speak to me in the pro shop. We have filled up the shelves with some fantastic golf shoes this year. With over 100 pairs in stock there is lots of choice to pick from. Below you can see the limited time offers to take advantage of (offer applies to in stock shoes only). 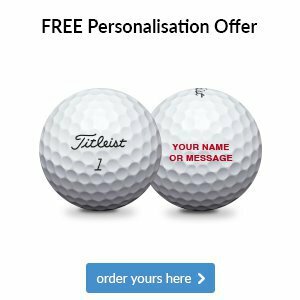 It's been great to see so many of you coming in-store to take advantage of this offer over the past couple of months and, hopefully, you'll have noticed the benefits that a new Golf Pride Align grip can have on your golf game. We will only be running this for a few more days so make sure you come and see us soon if you fancy a freebie. By now you'll be aware of our partnership with Your Golf Travel, which allows us to offer you exclusive member pricing on fantastic golf trips in the UK and abroad. 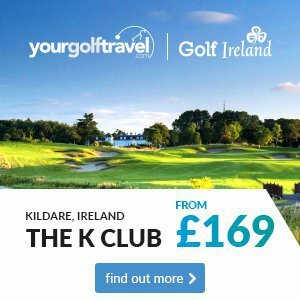 For the month of March, we're promoting some brilliant golfing destinations in Ireland, including 2006 Ryder Cup venue The K Club. There’s a well-known phrase: if you can’t beat them, join them. So while it’s unlikely you’ll be challenging for a Ryder Cup place later this year, why not join the world’s best in following the latest golf trends? 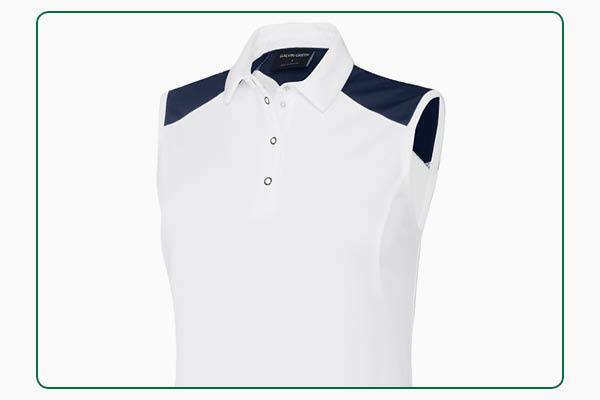 Two standout options we’ve already had plenty of interest in are this Galvin Green Maureen sleeveless shirt and Galvin Green Destiny sweater, both of which are available in several colours. The former comes into its own on hot days thanks to its lightweight and breathable Ventil8 Plus fabric that also offers UV20+ sun protection. 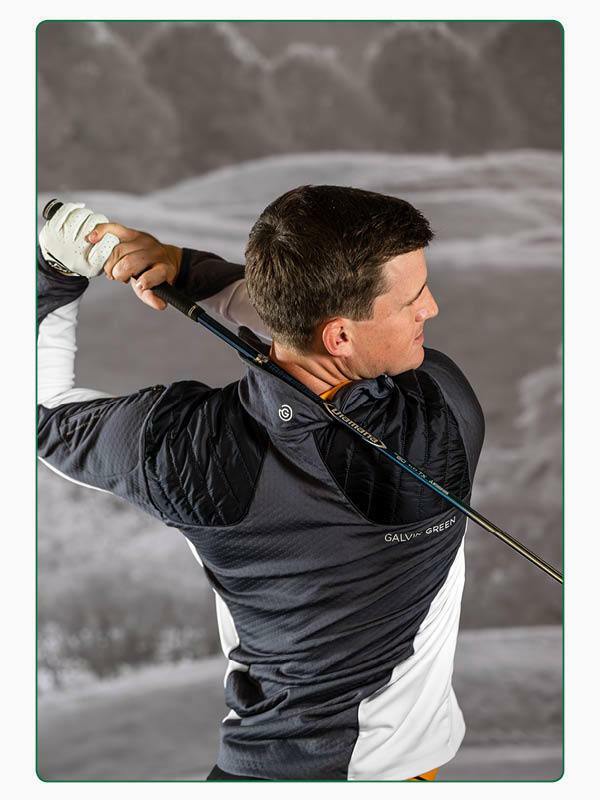 The latter is a very versatile option to have in your bag when it’s cooler, thanks to its breathable Insula Lite fabric that offers superb warmth without adding bulk. 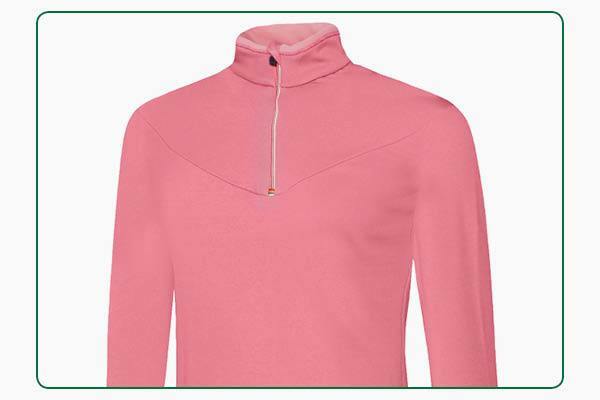 This stylish Galvin Green Dawson sweater has been getting a lot of attention in our shop. 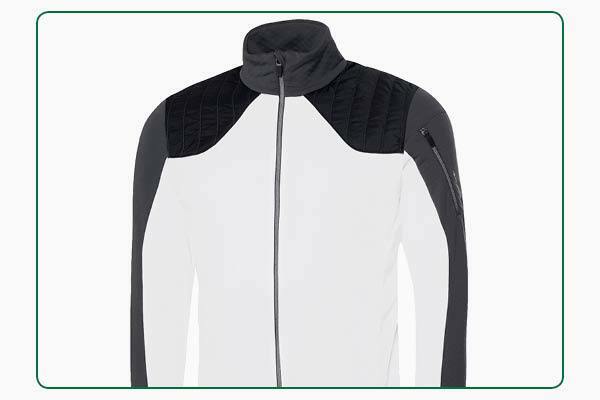 Like all of Galvin Green’s premium clothing, it’s designed specifically for golf with its Insula fabric creating effective and long-lasting thermal insulation with breathability, so you stay nice and warm but don’t overheat and sweat. Having the confidence to swing powerfully comes from knowing that you have a stable base, which requires footwear you can trust. 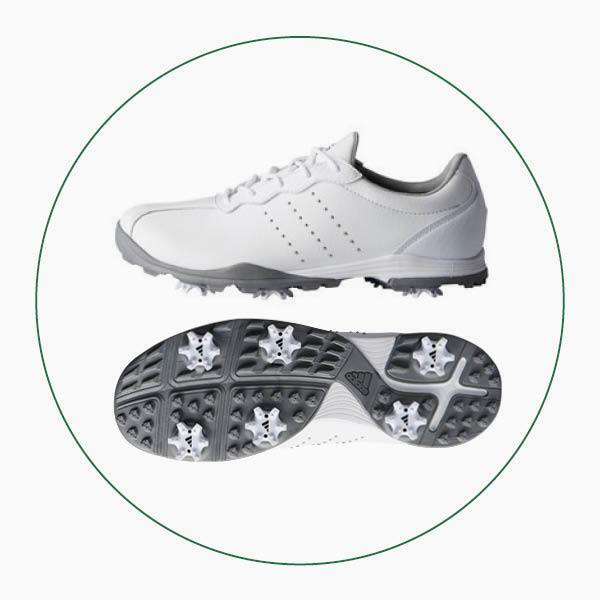 There are two types of outsole on modern golf shoes – cleated and spikeless – and we stock a range of both here in the shop, including these two fantastic options. With spring finally on our doorstep it’s a great time of year to consider a pair of spikeless shoes. This women's adidas adicross classic model has been designed for wear both on and off the course, which we think adds great value. Get fantastic protection, grip and stability with this adidas AdiPure DC shoe for women. Its sock liner coupled with gentle cushioning provides lasting comfort, whilst its cleated outsole offers traction from all lies. With spring finally on our doorstep it’s a great time of year to consider a pair of spikeless shoes. This adidas Sport BOOST 3 model has lightweight water-repellent uppers and is designed to enhance your comfort thanks to a sock liner that contours to your foot and BOOST cushioning that springs to save you energy. 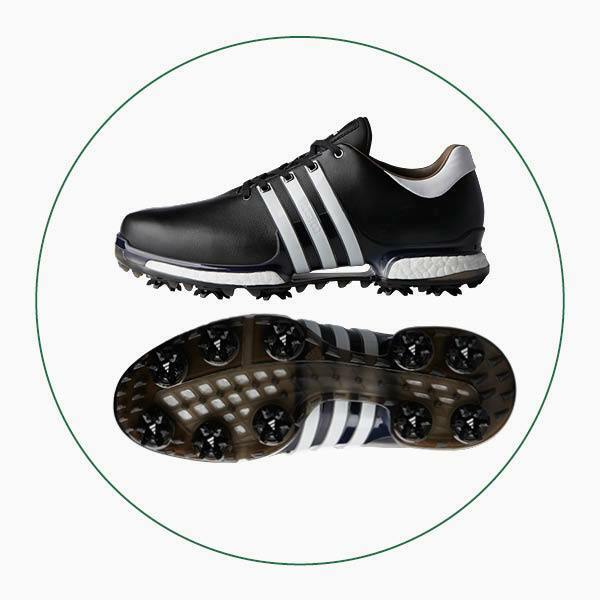 Get the tour look as well as fantastic protection, grip and stability with this adidas Tour360 BOOST 2.0 shoe. 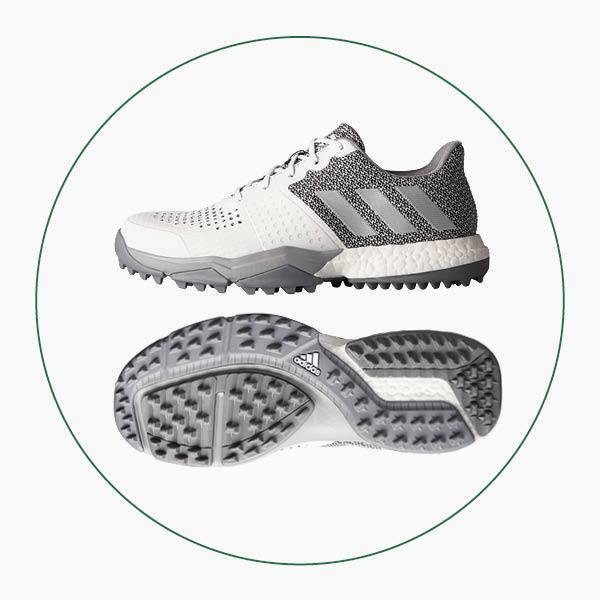 It’s worn by Sergio Garcia and Dustin Johnson and boasts premium waterproof leather uppers, springy BOOST cushioning that returns energy with each step and a low profile cleated outsole for stability and traction. This range of putters from Cleveland Golf is a little bit special. 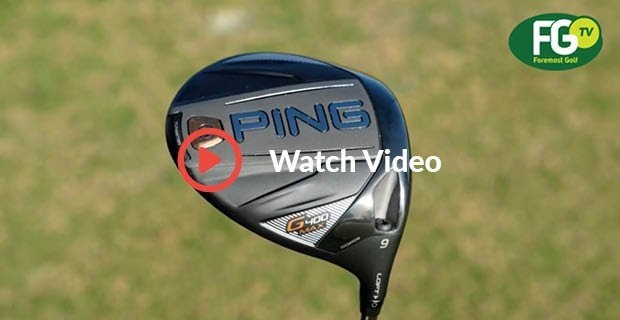 It gets its name from the sightline being exactly 21.35mm from the ground, which is the centre of the golf ball, allowing for true alignment even when your eyes aren't directly over the ball. 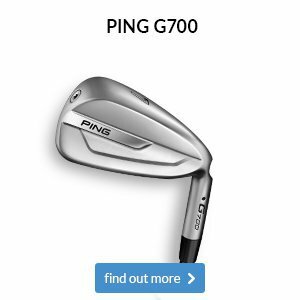 Couple this with a unique milling pattern on the face, which is different for each model in the range, that provides more consistent speed control across the face and you have a fantastic option to consider.